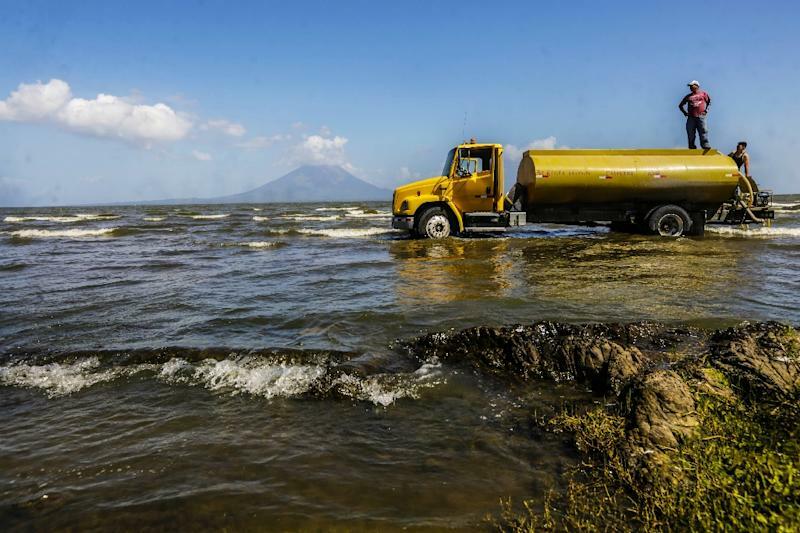 Rivas (Nicaragua) (AFP) - A year ago, to much fanfare, a Chinese consortium planning on building a canal across Nicaragua to rival the century-old one in neighboring Panama started inital work with a target completion date of 2020. 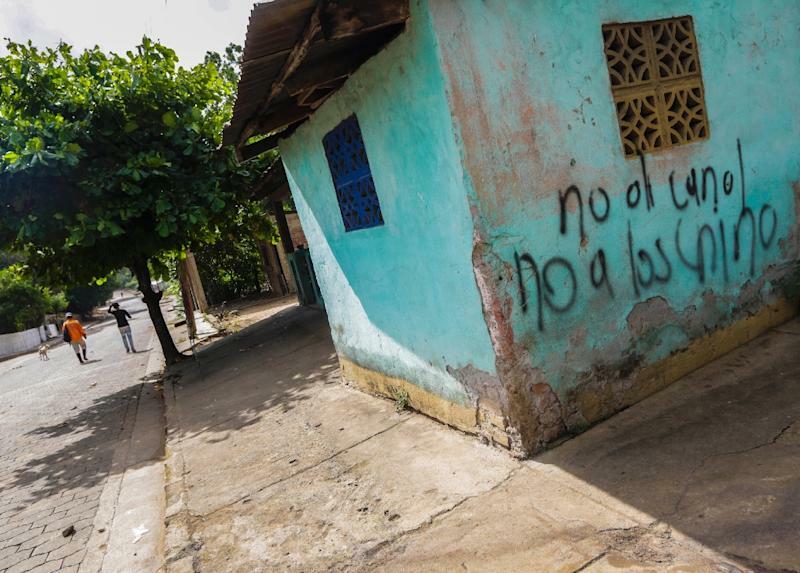 Today, however, there is no further sign of progress beyond the dirt paths the Hong Kong Nicaragua Development Group carved out near the mouth of the Brito River, meant to be the Pacific Ocean gateway to the $50-billion canal. HKND has admitted work had been delayed, with excavation pushed off to the end of next year. It blamed the lateness of an environmental study which was approved by authorities only in November. In the town of Rivas, located near the opening of the Brito River, unease and anxiety has taken hold. Although the government has promised its 200,000 inhabitants the canal would bring them lasting prosperity, rural folk on the outskirts fear only they will be uprooted to make way for the massive project. "If the canal comes, where will be settle?" asked Ruth Campos, a resident in her 60s in the town of Las Lajas. She is one of 27,000 Nicaraguans who are to be relocated because of the construction of the canal which aims to accept passage of 3,500 cargo ships a year, according to HKND. The consortium was in 2013 given a concession to build and run the Nicaragua canal for 50 years, renewable for another half century. The design for the manmade waterway calls for a canal 278 kilometers (173 miles) long, 280 meters (919 feet) wide, and 30 meters (98 feet) deep. Its goal is to capture five percent of global maritime traffic, especially superfreighters going between America and Asia whose size prevents them using the Panama canal. "They can kill me, but I'm not leaving," warned a 95-year-old resident, Cristina Lopez, whose town of La Virgen is to be bulldozed to make way for the canal according to HKND's maps. "This is where I was born, and it's where I will die," she said. A neighbor, Esperanza, 70, said: "Here there will be some deaths because nobody wants to leave their home. How can these people come to force us from our land?" 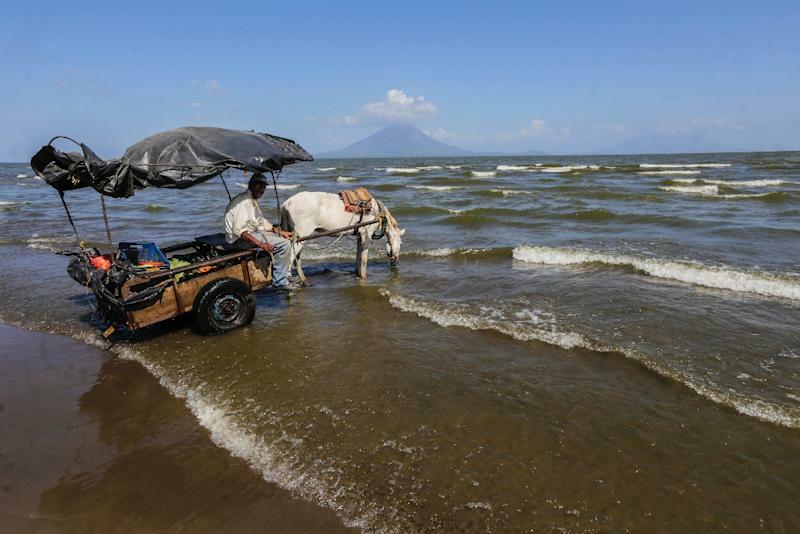 The locals, and environmental groups, fear the massive project will destroy Lake Nicaragua, a vast inland body of fresh water that is Central America's biggest, and a key throughpoint for the canal. HKND plans to build a logistics center for the canal in Rivas. In September, work was meant to have been completed on a first stage that would see five million tons of earth excavated. But the delay attributed to the environmental impact study has pushed that back. The work "may be delayed, may change some plans," Eden Pastora, a member of the government's Great Interoceanic Canal Commission told AFP. "But the project will go on," he said.